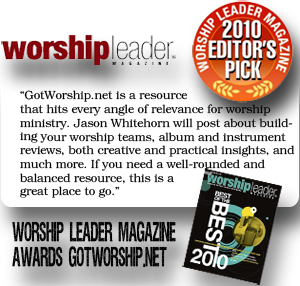 One of the common threads of discussions I hear from worship leaders or creatives is that of dissatisfaction when comparring themselves to other churches. It seems that the old adage of “the grass is greener on the other side” certainly holds true in the church world. Where does the dissastifaction stem from and how do we curb it? 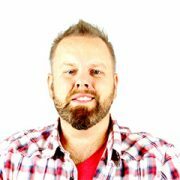 Take a scroll through Instagram, twitter, and facebook accounts pertaining to worship at church and you will quickly find tons of images of perfectly hazed and well lit sanctuaries – congregations with hands raised high in the air in abandonment – videos of amazing vocalists that would rival Kari Jobe – pictures of expensive guitars and pedals that look like they could somehow land an airplane. You get my point. What if you are church that can’t afford the lights? What if you have struggled just to get to the point where you can add an electric guitar to your service…but your guitarists barely owns an amp and guitar and cant afford the fancy gear? What if your vocalists don’t sound like Kari Jobe? What if your sanctuary looked…well…plain and dated? Let’s first put one thing into focus: the snapshots you see online are simply that – snapshots. 100% of the time they are pictures that are selected to be seen by the public – and often times one of several taken to get the shot just right. What’s not taken and shown to the public are the shots of the panicked worship leader early in the morning when (pick an instrumentalist) called to say they can’t make it…and the songs that were picked depended on them. Nope…no instagram there. There is no video when the sound went out for the 5th time during the service in the house. Won’t see a snapchat for that one. You see – the churches we look at with wide-eyed wonder at their green grass…have dry brown spots as well. There are issues that plague churches of all sizes and all budgets. No church is perfect – because churches are comprised of imperfect people. No matter where you are at – no matter how small or unorganized you think your church is – your grass is greener than someone else’s church. If you ever have a chance to visit Africa and some of the more remote areas – you will immediately understand the deep appreciation for…well…everything that they have. I have seen a small church come unglued over receiving the gift of an acoustic guitar. The entire church broke into celebration and tears over a gift that they cherished as if it was a million dollars. I have seen an entire village come swarming from miles around all because a Bible was being delivered to the local village for their use in their own language. The amount of awe and reverence given to the Word of God was inspiring – while many of us have Bibles collecting dust on our own nightstands. No matter what size church we are at or what size budget we have to work with – we are all painting the same picture. The picture we paint each Sunday is of a love for our Creator on display in Worship. Every person – including ourselves – is involved in worshiping something at any given point of the day. Our job is to help paint the picture of a worship only deemed worthy of being given to our God. We do that at a church of 25 in attendance. We do that in a church of 25,000 in attendance. We do that in a church in Nashville or at a church in Rawanda. It is the same picture no matter what size, budget or location. All of these things that make us long for other churches – to wish we had what they had – to always be looking to keep up with the Hillsongs, Bethels, Northpoints, and any other church we idolize in this world – are simply frames. Would you make a trip to see the Mona Lisa only to blur her out of your mind and spend your entire trip fixated on the frame? Perhaps we would if we’ve spent too much time starring at the picture and in loss of awe at the artwork. Perhaps then the framework is the only thing left for us to find beauty in. The question then becomes – just how much have we lost awe in the artwork of the Creator – and the picture we paint of Him each week…that we suddenly become only fixated with what ordinated the edges? Its the same picture…different frame.